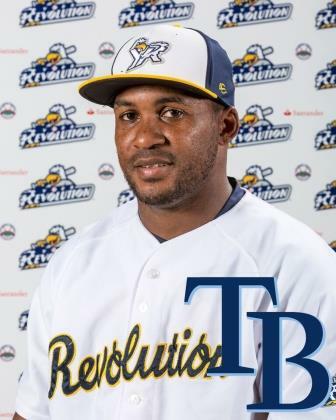 The York Revolution has announced that the Atlantic League contract of outfielder Jose Constanza has been purchased by the Tampa Bay Rays. It marks the first time in the nine-year history of the Revolution that Tampa Bay has purchased the contract of a York player in-season. The RBI base hit from James Simmons which tied the game, and the RBI base hit from Jose Constanza which won it in the 14th after trailing 2-1 (watch the video above), gave the Revolution their ninth walk-off victory of 2015. That is a new franchise high for a single-season, surpassing the total of eight by the 2009 Revs. Like 2009, where York compiled a franchise-worst overall record of 53-87, the numerous walk-off wins this season have also been a silver lining in an otherwise challenging season. The Revolution was 47-65 (but 23-19 in the second half) as of August 23, and just 22-34 at home. However, an eye-popping 41% of their home wins this season as of 8/23 have come in walk-off fashion. As of 8/23, the Revs are 12-3 in one-run games decided at home this year. Over the weekend, the Revolution drew 15,828 fans to Santander Stadium, a season-high for a three-game series. (6,268 Friday, 5,781 Saturday, 3,779 Sunday.) That is over 2,000 fans better than the previous high for a three-gamer this season. The weekend also came within 800 fans of the best-ever attendance for a three-game home series, when 16,643 fans were turnstiled from September 16-18, 2011 against Southern Maryland. The Revolution’s 5-4 victory in 11 innings at Southern Maryland on August 18 established a new single-season high for extra-inning games played in a season for the nine-year-old franchise. It was York’s 12th of the 2015 season, and Wilson Valdez’s squeeze bunt to put the Revs ahead for good improved their record to 6-6 in extras this season. Six victories in extras is also a franchise record for a single-season. It was the second time this season the Revs brought in the winning run in a game at Southern Maryland on a squeeze bunt, as Eric Patterson did it in the ninth inning of a 4-3 victory on July 28. 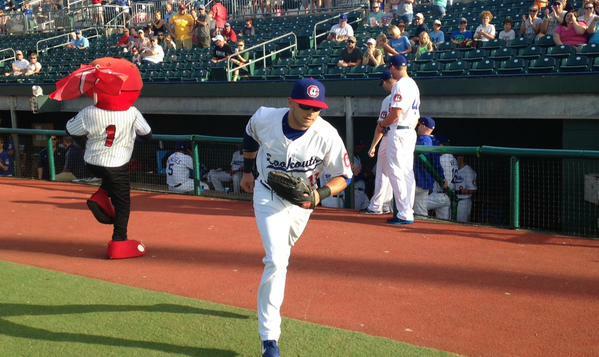 After admirable work by the Revolution bullpen, twice going through a starting rotation with four pitchers following the departure of Shawn Hill, York has added right-handed starter Hunter Adkins to make the rotation whole again. 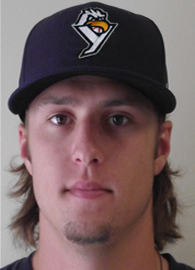 Adkins, 24, joins the Revs after a solid season with the Lake Erie Crushers of the Frontier League, in the eastern suburbs of Cleveland, Ohio. In 15 starts for Lake Erie this year, Adkins posted a 2.70 ERA and good strikeout numbers, punching out 94 batters in 96.2 IP. He walked only 32 and gave up just 74 hits in that time. On August 14 at Bridgeport, Andres Perez’s assault on the York Revolution record book reached a new level, when he became the all-time franchise leader in RBI and moved into second on the franchise home run list with one swing. Perez, who surpassed James Shanks as the all-time Revolution hits leader earlier this season, surpassed Ramon Castro’s mark of 214 RBI with a three-run homer at The Ballpark at Harbor Yard in the fourth inning off Bluefish right-hander Cody Scarpetta. Perez, who went 3-for-6 with a double and the homer in a 13-5 York win, drove in six runs to move from tied for fifth on the 2015 Atlantic League RBI leaderboard, to leading the league in RBI with 61. His three-run homer in the fourth, to put York on top 7-3, gave him 215 career RBI with the Revolution. 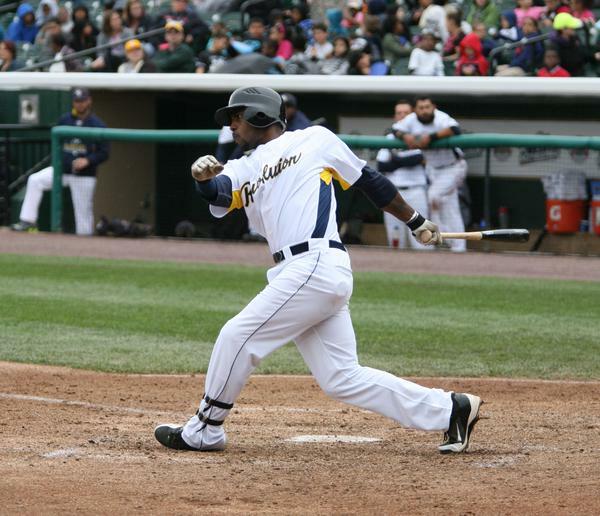 His 218 RBI with York by game’s end gave him a four-RBI lead over Castro as the franchise record-holder. With the 2016 season marking the 10th anniversary of York Revolution Baseball, the organization is turning things over to the fans to help decide the official 10th Anniversary Team. The official ballot has been posted below and on the official website, and fans will vote individually for each position on the field, a designated hitter, a five-man starting rotation, and relief pitchers. Fans may vote as many times as they would like for each position. Fans may vote as many times as they would like for their favorite players in Revolution history, from now until February when the final results are tallied and the Revolution 10th Anniversary Team is announced prior to the season. Several positions will be highly competitive and the voting should be very close and fun to watch. Among the most intriguing is first base (Chris Ashby ’08, Ian Bladergroen ’10, Chris Nowak ’11-‘12 and Chad Tracy ’13-‘14). Good luck coming to a decision about the best in franchise history out of that group! But that’s why the selection of the team will be such a fun process. Regular updates on vote totals will be provided as things move forward. After 40 games with the Revolution this season, outfielder Shannon Wilkerson’s contract was purchased by the Minnesota Twins on July 9; the first time the Twins had ever purchased an active player off York’s roster, and the first time Minnesota had ever signed a former Rev, period. Once he reported to Double-A Chattanooga, Wilkerson got off to a blistering start, not dissimilar to his torrid start with the Revolution. In 18 games between July 10 and August 2, Wilkerson hit his way to a high-water mark of .324. In 27 games total with Chattanooga as of August 12, Wilkerson was getting on base at a .333 clip, and had driven in eight runs with 10 walks and four doubles as Chattanooga’s leadoff man.